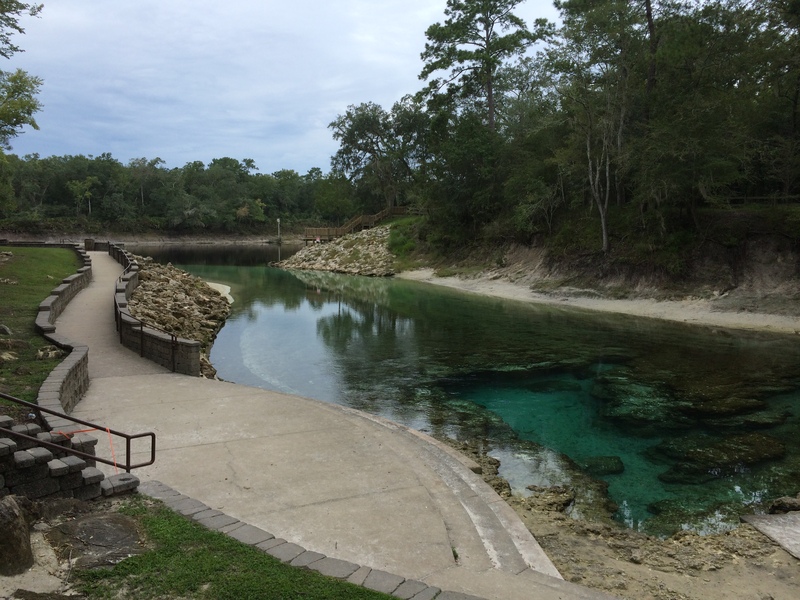 Despite its popularity, Little River Spring is one of the more alluring natural sights in Natural North Florida. When the water is not high or stirred by visitors, the smooth and curving flow of this spring and its run to the Suwannee is beautiful. Under the right conditions. The water in the run is virtually invisible. A limestone shelf in the run is located just below the surface, allowing visitors the rare opportunity to stand and peer directly over the cavern entrance while barely getting their knees wet. Breaks in the limestone near the vent create a pool that is perfect for wading, swimming and snorkeling.